Both Apple and Tesla have taken their hits over the last couple of months. Apple has seen sales of iPhone drop and Tesla’s stock recently dipped 8% due to a slump in vehicle deliveries. In a surprising move, Apple hired Tesla’s former vice president of engineering Michael Schwekutsch, fueling the rumors of an all-electric Apple Car. Schwekutsch left Tesla last month and holds more than 100 patents related to automotive design and has worked on the Tesla Model 3, Porsche 918 Spyder, BMW i8 and Fiat 500e. He also helped design two of the Telsa’s forthcoming cars, the Roadster supercar, and semi-truck. He joined Apple as the senior vice president of engineering under the Special Projects group. One of those projects is rumored to be an all-electric Apple Car. Apple has spent years quietly designing self-driving car technology, with a team that’s grown to around 1,200 employees. Last year, Apple’s 62 self-driving cars completed nearly 80,000 miles of public road tests in California. Apple has named the car project “Project Titan” and has not made much available publicly. 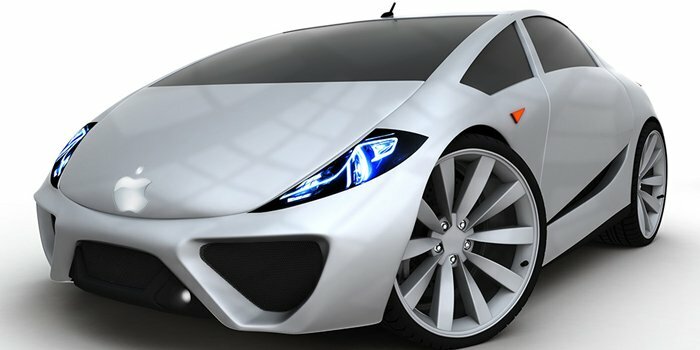 Rumors are that Apple is building a luxury, self-driving, all-electric vehicle with an augmented reality display and globe-shaped wheels for quick lateral movements. There are also rumors that “Project Titan” has been transitioned to a self-driving shuttle for employees. Recently, Apple announced a lay-off of 200 Project Titan employees that will take effect on April 16th, 2019.